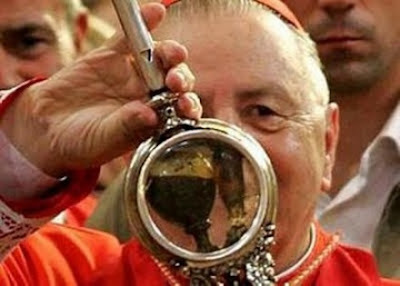 The liquefaction (becoming liquid) of the blood of St Januarius (Gennaro) is an extraordinary miracle of the Church that has been occurring up to 18 times each year for the past 600 years. 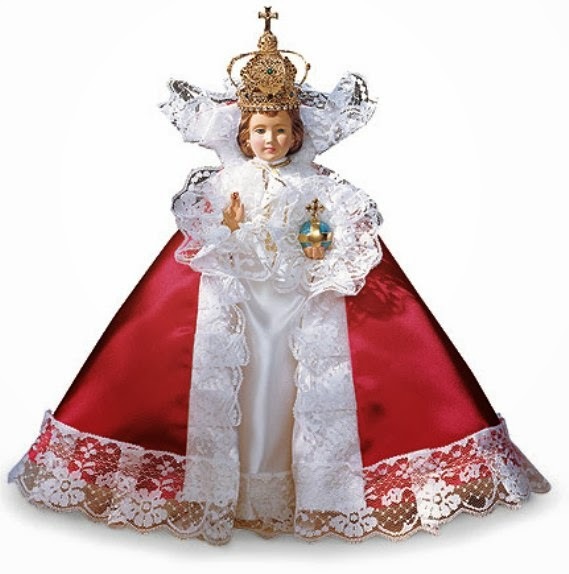 It is only one of a number of blood miracles that have taken place, and in the case of St Januarius-Gennaro and others, are still taking place with blood that was collected soon after the death of certain martyrs. There is a well-documented history of these samples of blood liquefying at various times of the year, especially on the Saints' feast days. This practice of gathering blood for relics, admittedly a somewhat surprising religious practice, nevertheless was a common practice beginning in the days of persecution when the early Christians soaked cloths in the blood shed by martyrs or, if possible, actually collected the liquid in flasks to keep as devotional items. In the catacombs these flasks were buried with the dead, their discovery indicating that the person had died a martyr. Throughout the centuries, blood has been collected from holy persons recently deceased, especially martyrs for the faith, with the specimens being carefully kept with devotion and veneration. These samples have been known to liquefy under various circumstances, at different seasons of the year, in various countries and in varied ways. Many samples still display wonderful reactions in our day, one of which, that of St Januarius we will here consider. While it is scientifically known that blood once removed from the body soon coagulates and eventually spoils, and since this natural reaction was common knowledge among the medical faculty of the Middle Ages, a claim made by them of remarkable liquefacations can hardly be ignored and would seem to indicate a transcendence of their experience. And In our own day, the specimens that are still active are no less scientifically inexplicable than they were centuries ago, even amidst intense scientific investigation. The best known and most intensely studied is the yearly blood miracle of St. Januarius (St. Gennaro) that occurs is Naples each year. 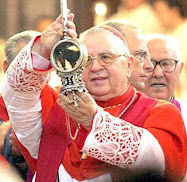 The recurring miracle of the liquefaction of his blood 18 times a year is often reported in the secular as well as the religious press, and is the occasion of great gatherings in the Cathedral of Naples. Here the people pray fervently while the resident cardinal, who usually presides over the ceremony, holds the vials of blood. The miracle occurs when the bust reliquary containing the head of the saint is brought near. When the liquefaction is accomplished in full view of the spectators, the cardinal announces, "The miracle has happened," words that cause great rejoicing and the chanting of the Te Deum. The saint's history begins with the Roman Emperor Diocletian whose persecution during the dawning years of the fourth century made martyrs of innumerable Christians. Among his victims was counted St. [Januarius, who was serving as bishop of Benevento. The imprisonment of the bishop occurred in A.D. 305 when he journeyed to Pozzuoli to offer encouragement to Sossius, a deacon who had been imprisoned. The bishop was soon arrested together with several ministers who had labored beside the saint in the service of the Church. After their decapitation the bodies were removed to various cities. St. Januarius’ body was taken to Benevento, then to Monte Vergine and lastly to Naples where it was entombed in the main church of the city, with two vials of his blood that had been collected by devout followers. Around this tomb the great ca¬thedral was constructed. Here Januarius was honorably remembered by the faithful of the city. The year was 1389. A procession was making its way about the ca¬thedral when the priest holding the flasks containing the saint's coagulated blood noticed that the contents began to liquefy and bubble. Since then the blood has repeated this phenomenon 18 times each year: on the Saturday before the first Sunday in May and the eight days fol¬lowing; on the feast of the saint, September 19, and during the octave, and on December 16. In more recent years the liquefacations and viewings have taken place three times a year: on September 19, the feastday of the Saint; on December 16, which is the anniversary of the eruption of Vesuvius in 1631; and on the first Sunday in May, which commemorates the translation of the relics to Naples. The blood has failed to liquefy several times, each time coinciding with the outbreak of disease, famine, war or political suppression. It is for this reason that Neapolitans rejoice at each liquefaction. There are actually four divisions of the saint's relics. The bones are kept separately while the head is enclosed in a magnificent silver bust that is enshrined a distance from the relics of blood. The liquefaction takes place when the vials are brought in close proximity to the silver bust containing the head. The blood is kept in two vials. The smaller contains only a trace of blood, but the larger measures four inches in height and about two and a quarter inches in diameter and is usually a little more than half filled with coagulated blood that appears as a hard dark mass. The flasks are hermetically sealed and are solidly fixed side by side within a ring of silver and crystal sides that has a stick-like handle at the bottom. The crystals on either side of the ring protect the vials and permit their viewing. This is kept in the main altar of the Chapel of the treasury in the Cathedral of Naples. On the feast days of the saint the silver bust that contains the head is exposed upon the altar or taken in procession. 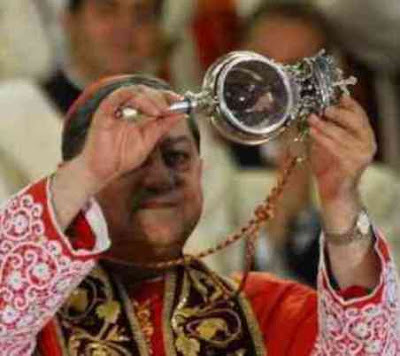 Prayers are recited while the priest or cardinal holds the reliquary of blood by its handle in full view of the assembly while making certain that the glass is not touched. .After an interval of a few minutes or perhaps even an hour, the mass is seen to gradually detach itself from the walls of the flasks and to liquefy, frequently bubbling and frothing. The vials are then brought to the faithful for their veneration. The cathedral is always filled to capacity when the resident car¬dinal or a priest holds the reliquary for all to see, being careful not to touch the crystal sides. The cardinal then announces, "The miracle has happened," words that cause great joy and the chanting of the 'Te Deum'. When the liquefacations occur, these dreaded occurrences are not expected to take place, and this gives vent to great rejoicing and notices in many secular presses throughout the world. In the evening the reliquary is put into a silver case and placed inside the altar where the next day the blood might be found coagulated or it may be found in a liquid state and might retain so for days or months. Every possible argument has been presented by skeptics, but all have been dismissed in view of the contrary reactions of the blood whose liquefaction occurs under the most diverse circumstances and physical conditions, The phenomenon has no need of special conditions to verify itself. For example, the liquefacation's occur at different temperatures as indicated by the records kept for more than a century, and by the studies of Professors Pergola, Punzo and Sperindeo who concluded that there is o direct relation between the temperature and the time and manner of liquefaction. The blood may liquefy at temperatures of 77 degrees or higher with the phenomenon taking as much as 20 to 40 minutes, while smaller amount of time may be required when the temperature is 15 or o degrees or less. 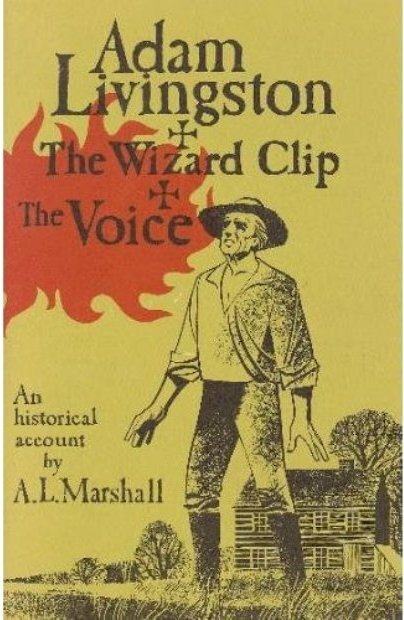 Those reluctant to admit the supernatural quality of the happening have argued that the press of the spectators, the lights and candles on the altar or the warmth of the priest's hands have helped in producing re heat that encourages liquefaction. Since the miracle occurs several times each year in various seasons, and since the blood is protected by NO layers of glass and since there is no constant point at which the liquefaction takes place, the miracle is contrary to every physical law that exists regarding the temperature needed to liquefy a substance. Likewise there have been occasions when the blood has failed to liquefy under app¬arently ideal circumstances. The theory of heat or the lack of it affords o adequate explanation of the phenomenon observed. After the liquefaction the blood frequently presents a variation in volume since at times it decreased while at other times it almost doubles s size, nor does it necessarily return to its original volume. Sometimes the coagulated blood occupies half the vial while at other times it occupies almost the entire space. A truly mystifying condition exists with regard to its weight. In experiments conducted in 1902 and 1904 the reliquary was weighed in a delicate balance. It was discovered that its weight was no more constant than its bulk, that is, its weight might increase as much as 25 grams, thereby defying physical laws. The strangest element is that there is often an increase in weight when the mass actually decreases, and a decrease in weight when the volume increases - this in direct opposition to the laws that dictate an increase in weight with a corresponding increase in mass. The color of the coagulated blood changes from dark rouge, almost black, to a bright vermillion that appears opaque when held to a light. Its viscosity changes as well. Sometimes the mass is almost gummy, at other times fluid, and it is independent of any movement that occurs to the reliquary. At other times the blood does not entirely liquefy and maintains a hard globule in the middle of the liquefied part, this condition lasting a day, weeks or sometimes months with no explanation being formulated by scientists for this behavior. The impossibility of a natural explanation increases by the fact that the substance contained in the vials is true blood. This has been confirmed by the constant tradition and by the documents that are im¬possible to refute. It is likewise confirmed by scientific research, especially that of 1902 when Professor Sperindeo was permitted to pass spec¬troscopic beams of light through the liquefied material. This test yielded the distinctive lines of the spectrum of blood with definite characteristics of hemoglobin. Some of the truly remarkable conditions that scientists could not explain was why the blood sometimes forms tiny bubbles that rise to the surface and collect into a foam, nor why, when it bubbles, it becomes a crimson color while at other times the color of the liquefied material is dull and its movements sluggish. Skeptical scientists from time to time have attempted to reproduce a liquid with similar characteristics by the mixture of various chemicals, but they have consistently failed to produce something that not only changes from a solid to a liquid form, but also changes its weight, volume and color. Unable to disqualify the miracle with arguments of a scientific nature, some have grasped elsewhere, even offering the improbable explanation that the blood is affected by some form of psychic force, that concentration and will of the expectant crowd are held responsible producing the physical action that their minds and wills demands is dismissed since the liquefaction has often happened unexpected and in the presence of only a few spectators. 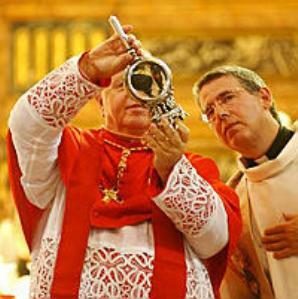 While scientists have been unable to explain how the phenomenon can be accounted for, the mysterious liquefaction of the blood of St. Januarius that has occurred for almost 600 years remains a challenge to the skeptic, a mystery to the scientific, and a truly inspiring miracle to the believer. On the St Januarius' feast day in 2011 (September 19), the blood again liquefied, but this time before the phial was even removed from the reliquary safe where it is kept. 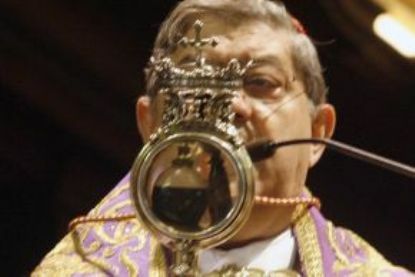 After the usual Mass in honor of Saint Januarius on his feastday, Cardinal Crescenzio Sepe of Naples removed the phial of the saint’s blood from the safe, and to his surprise he discovered that the blood had already liquefied, and he immediately announced to the congregation “Saint Januarius has listened to our prayers,” which drew a sustained applause from the crowd gathered in the cathedral. 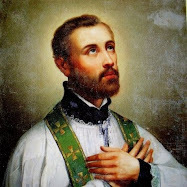 For those interested, there is an excellent brief eyewitness account from Father Alexander Lucie-Smith entitled "The day I saw a Saints blood become liquid". On that day back in 2001 Father Alexander relates how the blood prodigy only occurred after much praying from the assembled congregation, and how the change was almost instantaneous. To downplay the event, the Pope Francis quipped: "The bishop just announced that the blood half-liquefied. We can see the saint only half loves us. If only half of it liquefied that means we still have work to do; we have to do better. We must all spread the Word, so that he loves us more!" Soon afterwards however it was noted that all of the blood had liquefied completely, as testified here by "Vatican Insider" news. The liquefacation occurred during Pope Francis' one day pilgrimage to Naples, during which time he visited the poor of the city and also a prison. He was met by tens of thousands in the city of Naples who came out in great numbers to see him. When the pontiff arrived in the poor, crime-ridden Scampia area of the city in the "pope-mobile", he immediately plunged into a crowd of young people, two of whom cheerfully managed to even pose for a "selfie" with the smiling pontiff. To this writer this most recent event may very well be a sign of God's favor with this current Pope. May Jesus bless His holy Catholic Church and also our Holy Father, Pope Francis! ***Update December 16, 2016: For the first time in over 36 years the blood of St Januarius did not liquefy on Friday (Dec 16, 2016). As stated earlier in this article, when on rare occasions where the blood fails to liquefy, this has historically been the harbinger of impending calamities. Time will tell whether this is the case on this occasion, or not. The blood liquefies three specific dates per year, and the last time the miracle did not occur was in 1980. Many associated this to the subsequent earthquake of Irpinia, Italy when 2,900 people died in the worst natural disaster in Italian post-war history. Support our six websites! Check out the relic lockets, books, relic locket rosaries and other items in the Mystics of the Church Gift Store. For more reading, check out our latest article on the blood type of Jesus and what it may signify. Long live the Roman Catholic Church! Bagi Tuhan, tak ada yang mustahil. Nothing impossible for God. wow I just don't believe it! Well, in this miraculous case 'seeing is believing'! Demonic. Read your Bible. "For there shall arise false Christs, and false prophets, and shall shew great signs and wonders; insomuch that, if it were possible, they shall deceive the very elect." Well, the Catholic Church does not base Her faith on these things--they are simply signs given by God to strengthen one's faith. The faith of the Catholic Church is solely based on Scripture and Tradition and it is the ONLY Church that Jesus founded upon Peter "You are Peter and upon this Rock I will build my Church...(Matt 16:18). You say "read your Bible" and this is good advice, since the Scriptures are the Word of God, but one must remember that Jesus did not build His Church on the Bible, but upon Peter (the first Pope) and the Apostles (the first Bishops), and only the Catholic Church was founded by Jesus, and dates back to Him. The New Testament was not complied until almost 300 years after Jesus death. So it is the Catholic church alone that has the Deposit of Faith given by Jesus to Peter and His Apostles. thank you glenn! i love our Catholic Faith. Miracles done by Jesus were out of love and mercy. Jesus told in john 14: 12 -14 " those who believes in me will do greater works than i did"
So saints are capable of performing any miracles when they are alive in body and also when they are alive only in spirit(dead). I had seen stigmata occuring with my naked eyes, i had witnessed a lady's lost eye sight restoring when i prayed along with her. I am a layman and working as ERP (software) COnsultant. If a sinner like me could perform miracles in the name of Jesus then how much the saints can do, just imagine. Jesus never told that we should only follow holy scriptures. We need to know the time and culture when Jesus was alive to understand the scriptures clearly. So being the apostolic church catholic church has the ability to do it better. Catholic church only first brought Bible to public. Catholic church's all traditions can be backed by scriptures too. Anyway love is the greatest of all. So let us forget all factors which scatters but let us be united in christ's love. I was born in a family which follows another religion but mother mary called my mom (my mom could listen to her voice asking her to goto a church which was un known to my mom then) and thus we started going to church and later we became follower of christ, members of catholic church. You can see in old testament(2 Kings 13: 21) that when a dead body was thrown onto the tomb of a prophet Elisha the dead man becomes alive. So anything is possible with the saints who are purified by the blood of the lamb. Thanks Denny for your excellent comments. God Bless our Holy Church founded by Our Lord himself. Have read all the posts you have put up here and most I have never heard of before, it is beautiful to read about the majesty of the Church and all the riches it contains. Matt. 9:21; Mark 5:28 - the woman with the hemorrhage just sought the hem of Christ's cloak and was cured. This shows that God uses physical things to effect the supernatural. Acts 19:11-12 - Paul's handkerchiefs healed the sick and those with unclean spirits. This is another example of physical things effecting physical and spiritual cures. Acts 5:15 - Peter's shadow healed the sick. This proves that relics of the saints have supernatural healing power, and this belief has been a part of Catholic tradition for 2,000 years. Rev. 6:9 - the souls of the martyrs are seen beneath the heavenly altar. Their bones are often placed beneath altars in Catholic churches around the world. Thank you for your excellent comments! Read my Bible. Where did the Bible come from?From the Catholic Church, plain and simple. The shadow of the apostles healed people. If you say that these things are done by the devil, by whom do your ancestors do these things? Miracles that come from God! 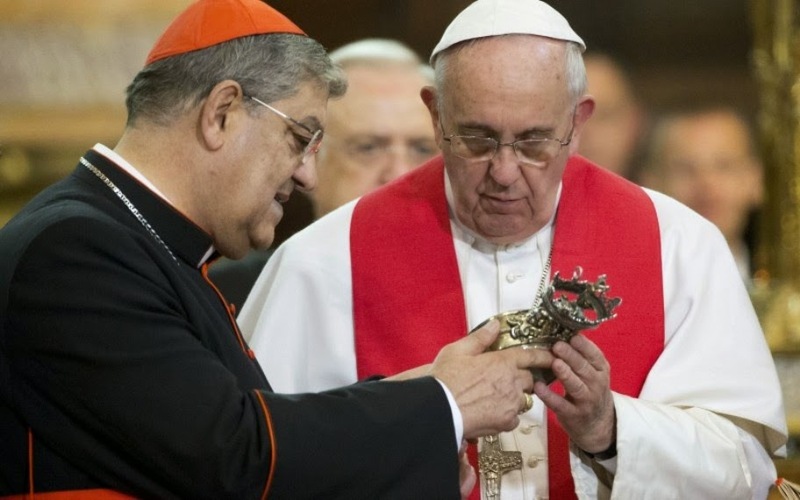 Having been at the Cathedral of Naples and witnessed the special shrine and vials that contain the blood of San Januarius, one can say it is miraculous all these many years. And that which occurs each year on his feast days is even more of a miracle! this all proves that miracles do happen. "For those who believe, no explanation is necessary, for those who do not believe no explanation is sufficient." the word Catholic does not appear not once in the bible so how is it the first church? The word "Catholic" literally translates as "universal". So the "Catholic" church is the universal church. The first believers were called "Christians" to distinguish them from the Jewish faith. The Church that Jesus founded which was built upon Peter as the first Pope, and the apostles as the first bishops and the "Christians" as the first believers eventually began to be called the "Catholic" church because it was the universal (universal = Catholic) Church throughout the known world at that time. Hope this helps to answer your question. miracles are extraordinary signs,it happens at the will of God.The greatest miracle in the history of mankind is" God became flesh and dwelt amongst us" that we can become like Him.as food to the hungry,can clothe the naked ,give solace,comfort,forgiveness,compassion and healing to the wounded,these actions and attitudes can bring about miracles everyday,because we are here on earth to Give,Protect and Promote life,which is God's Greatest Gift. For those with ears to hear: the word for "Peter" and "Rock" are two different words in Matt 16:18. They are related words, but they are not the same word. To say that the "church" was "founded by Jesus through Peter" is incorrect. "Petros" is to pebble, as "petra" is to large, immovable boulder. These are the DIFFERENT words that Jesus (through Matthew) used. Additionally, there is no evidence that Peter was the "bishop" of Rome. If I say "Paul was the bishop of Athens, and founded the Eastern Orthodox Church"...would you believe me simply because I said it? So, in the same way, Peter is not the "first pope", because there is no evidence of it. And to say that the RCC "gave" the world the Bible is also not true. The Old Testament had been codified ("canonized" in your verbage) centuries before Jesus came in the flesh, and what would become the New Testament already existed for centuries as well, before it was put together. And what of the Eastern Orthodox Church, which traces "her roots" to the same foundation the Western Church does? The true church, the real church, that followed the apostles has always been small in number, "outside the city gates", and persecuted by the religious. The corrupt organizations (this includes the RCC, Eastern Orthodox, Protestantism, etc) that followed in the name of the Lord have as little to do with Him as Satan worshippers...and worse, because they claim they do. Wherever there is formal religiosity, pomp, extravagance, wealth, and power, you can be sure the Lord is not there. So you believe in the "invisible remnant" theory? If the blood is real. Why it is not allowed testing of the blood? What's to fear? oh st Gennaro pliz pray for us. I am simply flabbergasted at the idiotic things posted by antiCatholics. Dumb, silly objections that have been answered masterfully and over and over and over and over again for hundreds of years since the Apostasy falsely called "The Reformation." Ugh. Let's just say for the sake of argument that this is all real, there's no hoax involved, and scientists really ARE baffled by it. The question then becomes: Why would a benevolent and all-powerful god spend effort on silly theatrics like this, when he could be making the blind see...preventing earthquakes...keeping children from being abused? 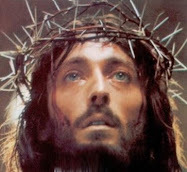 seeing blood of saint is not miracle, where one man truely repenting is miracle, where angels and Lord himself rejoice. I dont know what to say, these priests been in business for years, and some stupid guy like me teach a true theology that they don't consider of value. The Catholic church is probably the most hated church and persecuted in our present age its great that we have great Popes to look after it and is protected by Jesus Christ and his Most Blessed Mother and that StGennaro is still very much with the church and this Present Pope Francis , thanks for this sign of love and devotion to the ONE true church in Christ . I was born with a Catholic Mother and a Baptist Father. My Father eventually became Catholic through the years by the power of God. As an adult there were times when I was confused about what religion was the true religion of Jesus. I prayed for the Lord to show me the truth and asked the Holy Spirit to guide me to the truth no matter what. Since I have been praying for this answer the Lord has guided me back to the Catholic Church in more ways than I can even explain. There is no doubt in my mind that the Roman Catholic Church is the true church of God. That doesn't mean that the Lord doesn't love our fellow Brothers in Christ or that they are not saved in his name it just makes me so thankful that I was blessed enough to be born Catholic. God Bless! Miracles, like ice cream, come in a lot of different flavors. They also come for many different reasons, and one is to constantly be there to remind us of Gods presence and loving touch. If you don't need them good for you. And He could be preventing you from committing your evil acts too. But He isn't. He loves you, even now. 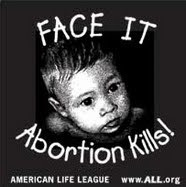 If there was no God, the evil you refer to would not be evil, but simply survival of the fittest, wouldn't it? There'd be no reason to prevent it. Listen to the moral law written on your heart. Blessed are those who believe, yet have not seen. 9 yrs ago I searched for a reason for why I should still be alive, considering what I had done, what I was given, and what I deserved. In my research I found the answer. St. Januarius gave me hope to ask for more, to give more, to embrace my humanity. Therefore I am a believer. I will live for him. I've seen many comments and statements on the religion aspect and the validity of such, but we all must remember that Christ is our way to the Lord and through him we shall see the Glory. To those who doubt and try to separate the religions PLEASE take some time and study each one as you have your own, before making any separations. You will delightfully find they are all saying the same exact message, only in the different areas pertaining to their spot in the world. Each book of religion confirms the other and those who have been spoken about worldwide, the only difference is the name in which that section of the country lies in. May God bless all who deliver themselves to Jesus in the name of the lord our God bless your family, health and all you hold dear. We see the works of Jesus everyday, but have come to take them as nothing more than another day. Look around and listen to the world and you will find that which is good sent by Jesus in the Fathers name. Life is in the blood. After car accidents etc. blood transfusions are often required. One drop of Our Lords precious blood is enough to cleanse the whole Universe. The blood spilt in life for Our Precious Lord has miraculous consequences in this life and the next. I wonder if the blood is looked at and handled the same way every day, or if it liquefies three times a year, because it is pulled out and handled three times a year. It frustrates me that a recurring miracle like this does not have a full fledged scientific examination to determine if there is a natural explanation. For those keeping track, the blood completely liquefied both times so far this year (May 6th and also Sept 19th, 2018), though on September 19th the celebrant Cardinal Crescenzio Sepe of Naples felt faint for awhile and had to sit down. At this point it is unknown if the Cardinals sudden health predicament has any significance or relation to the miracle. Lots of valid points made about miracles and the Church. I enjoyed all the comments, even the skeptical ones. I would like to clarify a point about New Testament Sacred Scripture . All the 4 Gospels and Apostolic Epistles were extant and circulated, among the various church groups, within 30, or so, years after the death and resurrection of our Blessed Lord. The one exception is St. John’s Apocalypse/ Revelation, which was written later in the first century. However, due to numerous pseudo, so called, gospels and epistles, greatly influenced by Gnosticism, being surreptitiously circulated and claiming Apostolic authority, the Church, especially during the Council of Carthage in 397 AD, CANONIZED , not compiled, the NT Scriptures, since the majority of the NT was already accepted in the first century, by the Faithful. I only point this out to some of those who may be influenced by skepticism, and who may doubt the Divine origin of our Holy Faith.